September is bicycle and pedestrian safety month. In 2016, 867 pedestrians were killed on California roads, which represents a 33% increase from 2012. Bicyclists deaths are also on the rise with 138 bicyclists killed in 2016 which represents a 25% increase over 2012. 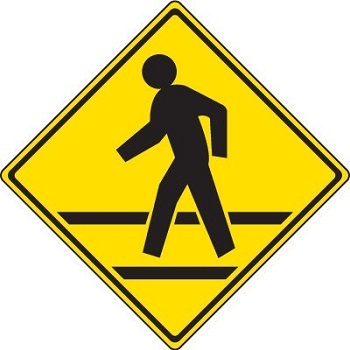 Be alert for pedestrians at intersections and crosswalks. Avoid distractions, put down the cell phone and drive. Use extra caution when backing up, look for pedestrians or bicyclists who may be approaching. Be sure the path is clear before proceeding. Use crosswalks or intersections only, preferably with a stop sign or traffic light. Make eye contact with the driver, never assume the driver sees you. Look for cars backing up, you may be in the driver’s blind spot. Wear bright clothing, reflective materials and a flashlight (at night). Go with the flow of traffic, not against it. Wear brightly colored clothing and reflective tape or markings on your clothing, helmet and bike. Use lights from Dusk to Dawn, front-white light, rear-red flashing light. Watch for parked cars with people in them, they may open a door in your path. Use proper hand signals when turning or stopping. Stay as far to the right as is safe. 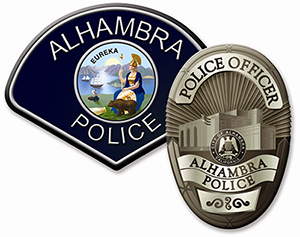 For questions or additional information, please contact the Alhambra Police Department, Traffic Section, Sergeant Joe Mallette at jmallette@alhambrapd.org.